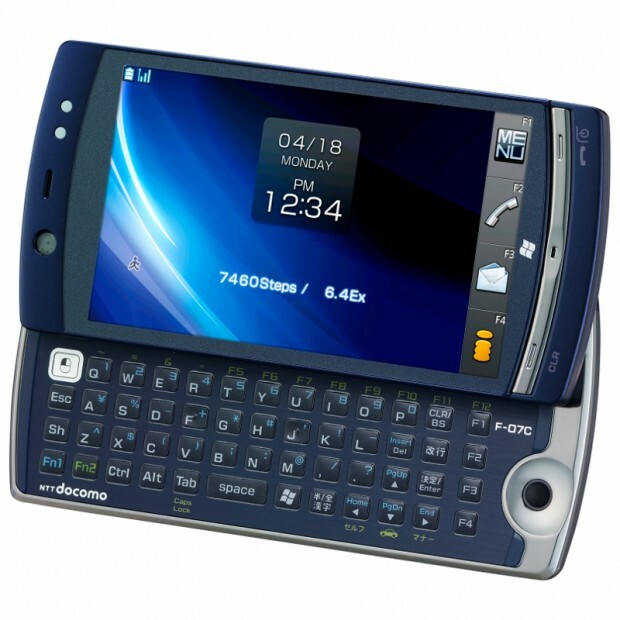 We showed you the LOOX F-07C earlier this week, Fujitsu’s Symbian/Windows 7 dual-boot cell phone that Japan’s biggest mobile carrier NTT Docomo plans to market this summer. In case you were wondering how the device looks like in action, our friends over at Diginfonews in Tokyo have shot a video (in English). To recap, the LOOX F-07C comes with a slide-out QWERTY keyboard, a 4-inch LCD screen, a 5MP CMOS camera, and is powered by a 1.2GHz Intel Atom CPU that’s under-clocked to 600Mhz (full feature set here). It turns out Docomo is trying to market the device as full mobile PC/cell phone hybrid and that it takes 3 seconds to switch from computer to phone mode after pushing the button.